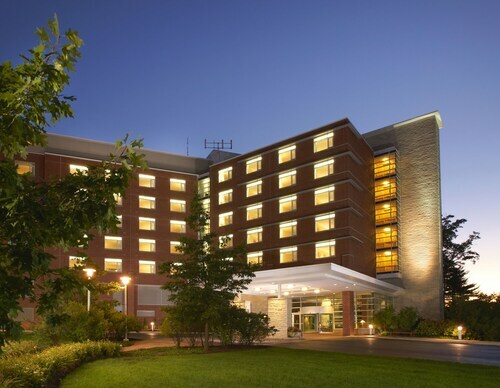 Located in the heart of State College, this hotel is within 6 mi (10 km) of Beaver Stadium, Pennsylvania State University, and Bryce Jordan Center. Centre County Historical Society and Palmer Museum of Art are also within 6 mi (10 km). Situated in State College, this hotel is 0.6 mi (1 km) from Centre County Historical Society and within 3 mi (5 km) of Pennsylvania State University and Bryce Jordan Center. Penn State Ice Pavilion and Beaver Stadium are also within 2 mi (3 km). Situated in State College, this historic vacation home is 2.3 mi (3.7 km) from Nittany Mall and within 6 mi (10 km) of Pennsylvania State University and Bryce Jordan Center. Centre County Historical Society and Beaver Stadium are also within 6 mi (10 km). 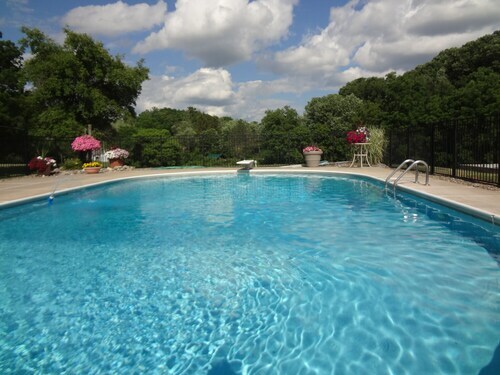 Located in the heart of Bellefonte, this vacation home is within 9 mi (15 km) of Nittany Mall, Pennsylvania State University, and Bryce Jordan Center. Centre County Historical Society and Penn State Ice Pavilion are also within 9 mi (15 km). Located in downtown State College, this Days Inn by Wyndham Penn State is 1 block from Penn State's University Park campus. Beaver Stadium, home of the Penn State Nittany Lions, is about 1 mile away. Situated on a lake, this romantic vacation home is within 6 mi (10 km) of Big Spring Spirits, American Philatelic Center, and Talleyrand Park. Bellefonte Historical Railroad Society and Bellefonte Art Museum for Centre County are also within 6 mi (10 km). Situated in State College, this vacation home is within 3 mi (5 km) of Nittany Mall, Centre County Historical Society, and Beaver Stadium. Pennsylvania State University and Bryce Jordan Center are also within 6 mi (10 km). Situated in State College, this hotel is within a 10-minute walk of Discovery Space of Central Pennsylvania and Pennsylvania State University. Bryce Jordan Center is 1.4 mi (2.2 km) away.